Pat Cleveland, Founder of the Balanced Horse Project, originates from Peterborough Ontario Canada, as a classically trained Dressage rider and coach. Her career shifted to holistic therapies, followed by research into the training and performance challenges presented in horses. She owns a bio-dynamic farm outside of Dothan, Alabama, Designed to prepare, develop and rejuvenate horses using natural resources. AS her understanding grew, a perspective from the horse’s position altered her ability to assist in developing horses who work without injury or conflict. By simplifying the method horses create balance; results began to change established traditions. The facts remain consistent. 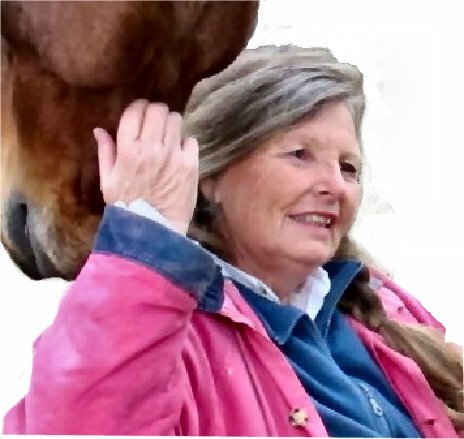 To bring her information to the public, Pat removed herself from the professional horse scene to document and figure out how to explain what happens when she works with horses……or when she instruct a rider how to rediscover how to ride from the body core, breath and mind. Before she knew it, a research project developed funded by horses clients invited her to help….blind testing, performance testing and exposure to multiple forms of equine sports injuries, the evidence of positive adaptations altered many lives. The horse and rider careers of her clients place her subject into double blind studies, supported by the CEF, (Canadian Equestrian Federation) USDF, (United States Dressage Federation), the FEI (Federation Equestrian International) and the Canadian Jockey Club. The results place horses that normally would not have the physical ability to compete into world champions in their sports. Over time as she isolated the source of balance responsible of equine limitation and behavior, the techniques, and definition of organic systems offer new resources. After years of verifying finding, she is finally comfortable with the results. 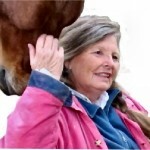 Sue Ramsey, CEF Dressage Chair (retired), who promoted the French School riding philosophies. Canadian Equestrian Federation; Coaching Psychology, Course Designer ret, Coach, Judge ret and Stewart ret.